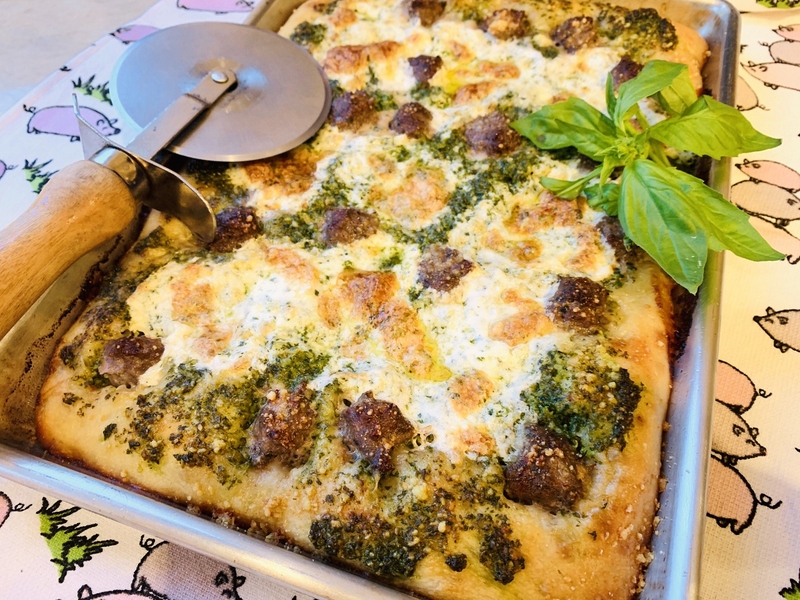 Sheet Pan Pesto Sausage Pizza - Recipe! - Live. Love. Laugh. Food. Pizza is probably the most craved food on Earth. Yes, I know I’m not taking into consideration all places on earth, but probably at least here in the United States and Canada. Pizza or Italian restaurants are scattered in every city you see and that’s probably because pizza is so popular. 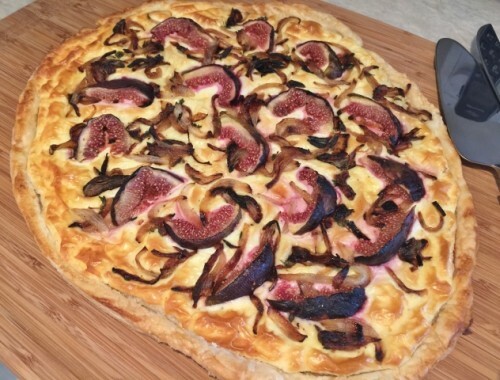 However, making your own pizza at home is almost as easy as ordering one over the phone or online, and the taste is incomparable to most delivered pies. For starters, pizza dough can be made in a stand mixer in just minutes and left to rest while you get-on with your day, or purchased at your local grocery store. The rest of the preparation is about getting your toppings in order so you can layer your pie in the most flavorful way. 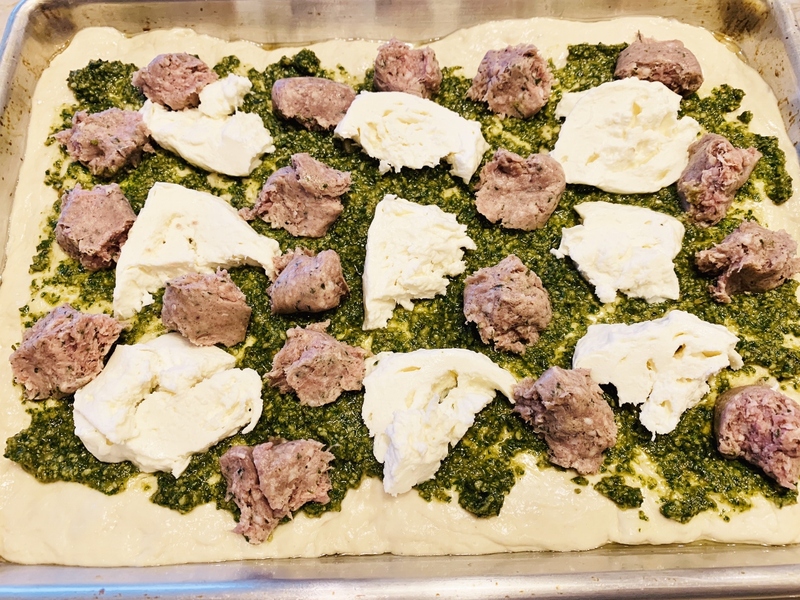 For this recipe, my Pesto Sauce is needed to start the pizza process, but if you are pressed for time you can always use store-bought. Fresh mozzarella cheese and uncooked sausage are pretty much the only other ingredients required to build this beauty. I do like a little additional fresh basil for the topping, but that’s always up to you. Serving this pizza straight from the oven has pizza lovers come crawling to your door, so you may need to double this recipe to feed your hungry friends. 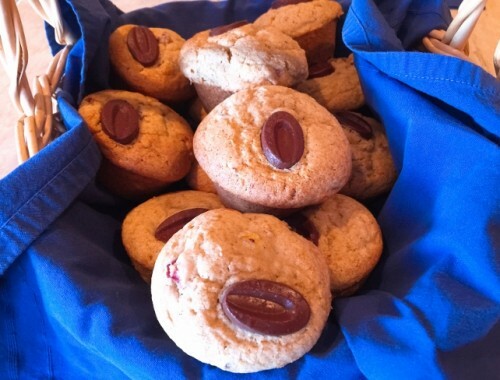 To make dough, add all dry ingredients to stand mixer or large bowl and mix with dough hook or with hands until combined. Add water and mix on low until ball begins to form. Remove from bowl and knead on counter top for 3 minutes until smooth and elastic. Place dough into an oiled bowl and cover with plastic wrap. Let rise for 2 hours. Preheat oven to 400 degrees. When dough is proofed, press into an oiled 1/4 sheet pan or 13 x 9 baking pan. You may need to stretch with fingertips to fit edge to edge in pan. 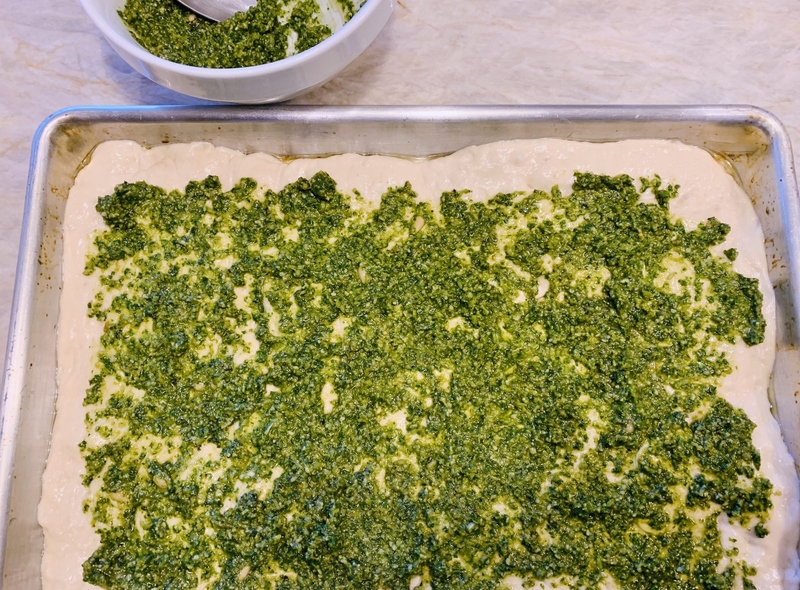 Spread pesto on top of pizza leaving 1/2 inch border around edge. 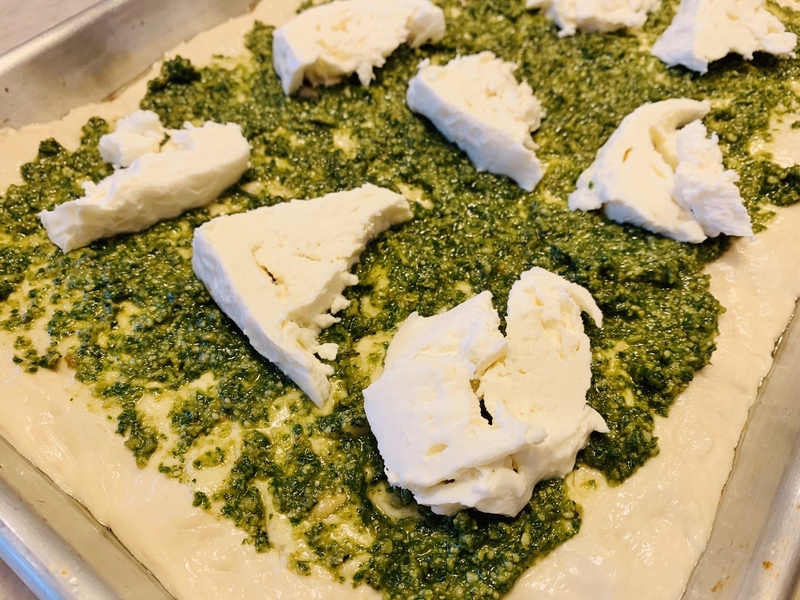 Pinch pieces of mozzarella and dollop on top of pesto. Remove casings from sausage and add pieces to top of pizza. Bake in oven for 20-25 minutes, or until edges are light golden brown. Remove and let rest 5 minutes before slicing. Top with parmesan and basil. Enjoy! 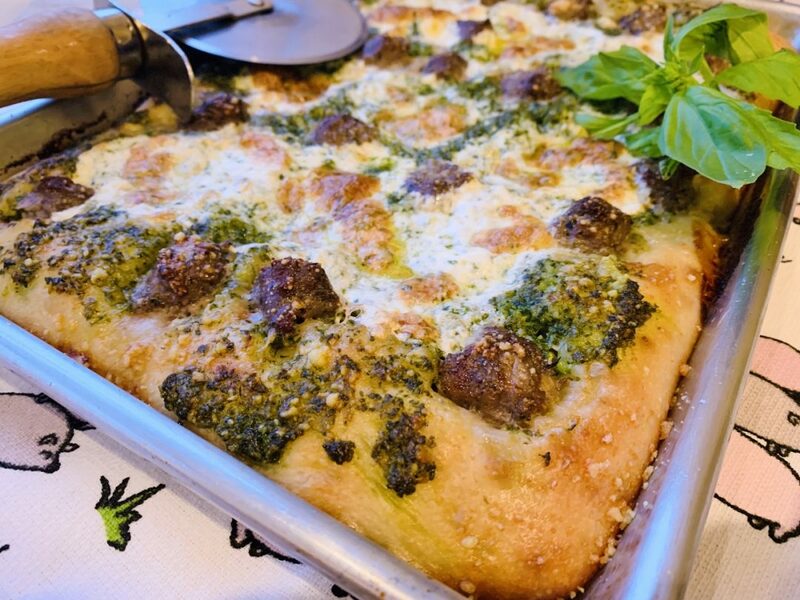 Baking with Gena BellHomemade Pizza RecipePesto Pizza RecipePizza RecipeSheet Pan Pesto Sausage Pizza - Recipe! 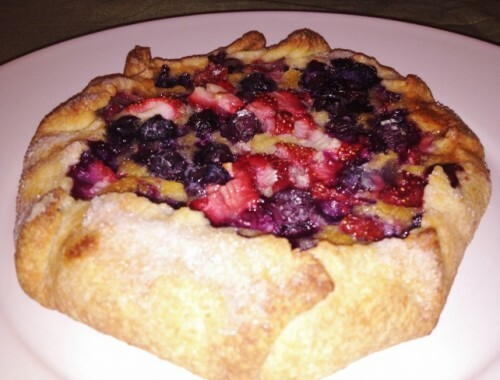 Red, White & Blueberry Tart – Recipe!